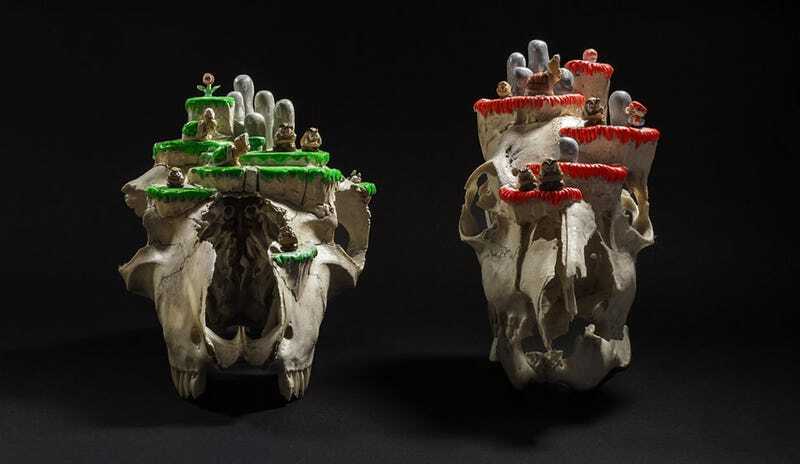 Mario Levels Made Out Of Real Animal Skulls. Creepy. Made by artist and designer Tobias Wüstefeld for the We Love 8 Bit show in Austria this month, these two pieces are...animal skulls. Turned into floating Super Mario Bros. levels. Right. It should be macabre as hell, but really, you barely notice the fact they're the skulls of dead animals. Maybe. Just think of them as incredibly detailed clouds!